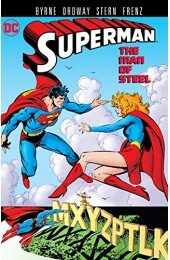 Ο πρώτος τόμος κόμικς Superman Rebirth με τίτλο Son of Superman περιλαμβάνει τα τεύχη 1 έως 6, από την DC Comics. Τhe machine mind known as the Eradicator is on the trail of the House of El, and its hardwired directive to protect the Kryptonian genome permits no consideration for any other forms of life—not even those that share Kal-El’s blood. Exploding out of DC’s blockbuster Rebirth event, SUPERMAN VOL. 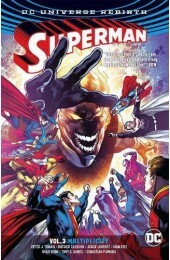 1: SON OF SUPERMAN marks the beginning of a new era for the Man of Tomorrow and a great jumping-on point for new fans—brought to you by acclaimed storytellers Peter J. Tomasi, Patrick Gleason, Doug Mahnke, Jorge Jimenez, Mick Gray, Jaime Mendoza, John Kalisz, Will Quintana and Alejandro Sanchez! 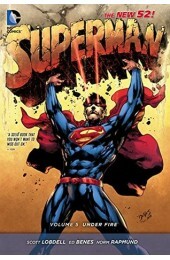 Collects issues #1-6 and the SUPERMAN: REBIRTH one-shot.